The new Halcyon Adventurer Wing system, is a single tank BC based around the popular Eclipse wing and a Carbon Fiber backplate in Halcyon's traditional design. 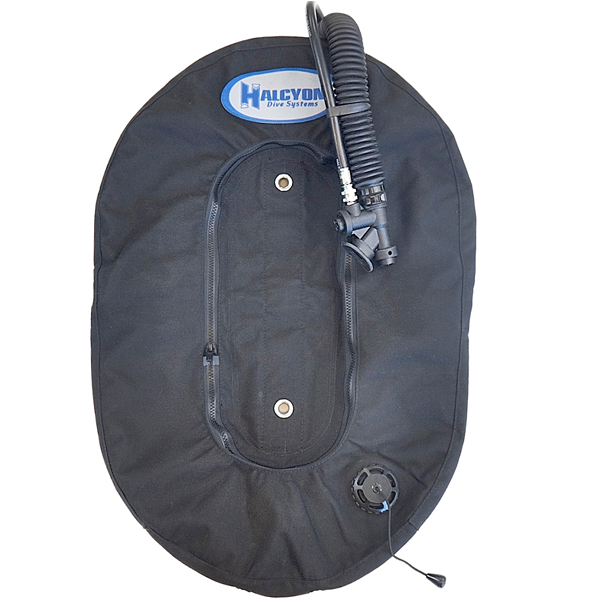 The Halcyon Eclipse Wing is a donut shaped back-mounted Buoyancy Compensator (BC) allowing divers to enjoy perfect horizontal trim underwater. It is suitable for single tank divers from any agency and at all levels. It's been our choice wing for try dives and beginner through advanced recreational diving courses for many years. Totally clutter-free compared to traditional jacket-style BCDs, the profile of the Eclipse wing supports the single tank along diver's entire length, preventing unnecessary drag and minimizing in-water effort. Advantages of a wing system over a "jacket type" BC are numerous. The Halcyon system depends on a one piece webbing harness looped through a sturdy aluminium or stainless steel backplate that should last many life times. 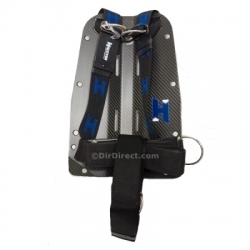 Once donned, a webbing crotch strap can be utilised to keep the whole system in place with minimum movement. This clutter-free system is easily adjustable to suit any size, any type of diving and any thickness of suit/undersuit a diver may be using. 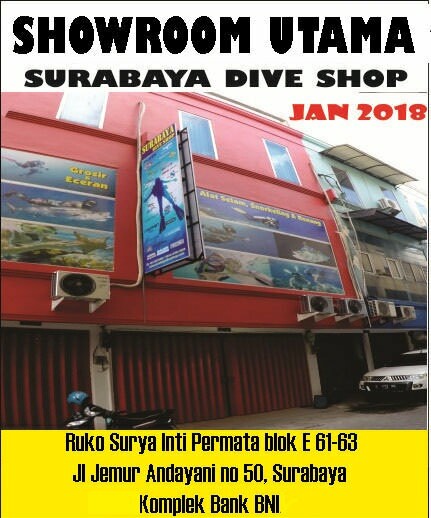 It is ideal for men, women and young divers a and the harness, stainless hardware and backpack can easily be moved to a twinset wing in the future. The Halcyon Secure Harness provides an infinitely adjustable fit, eliminating the uncomfortable movement found in conventional “jacket” buoyancy compensators. This perfectly tailored fit means that divers of all sizes can enjoy a custom diving configuration that supports unparalleled stability and diving comfort. Moreover, this unique system is easily convertible, allowing one to adjust buoyancy or quickly switch from singles to doubles. Regardless of your future aspirations, this flexibility means your diving system can grow with you. From your first open-water dive to your 100th deep dive, Halcyon is with you all the way. Adjustable crotch strap enhances stability. What backplate to use? While not set in stone, aluminium or lighter carbon fiber backplates are generally preferred by traveling or wet suit divers as they are far more lighter than their stainless steel counterparts. The popular backplate for dry suit diving is the stainless steel, the additional weight is a benefit (spreading out the weight needed to compensate for buoyancy while taking it off the diver's waist). Most UK divers who use dry suits prefer the SS backplate and the Halcyon Eclipse Wing System. The Halcyon backplate pocket is the most efficient means to store any of the various Halcyon inflatable markers with ease. Stowing your favorite lift device in a Halcyon Storage Pak provides a hassle-free storage place without compromising the ability for rapid deployment of a SMB or lift bag.